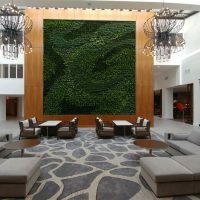 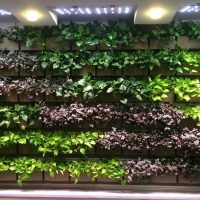 Foliage Design Systems helps create living wall designs and unique interior plantscaping for residents, retail, and businesses in Pennsylvania, Delaware, Maryland and all throughout the tristate region. 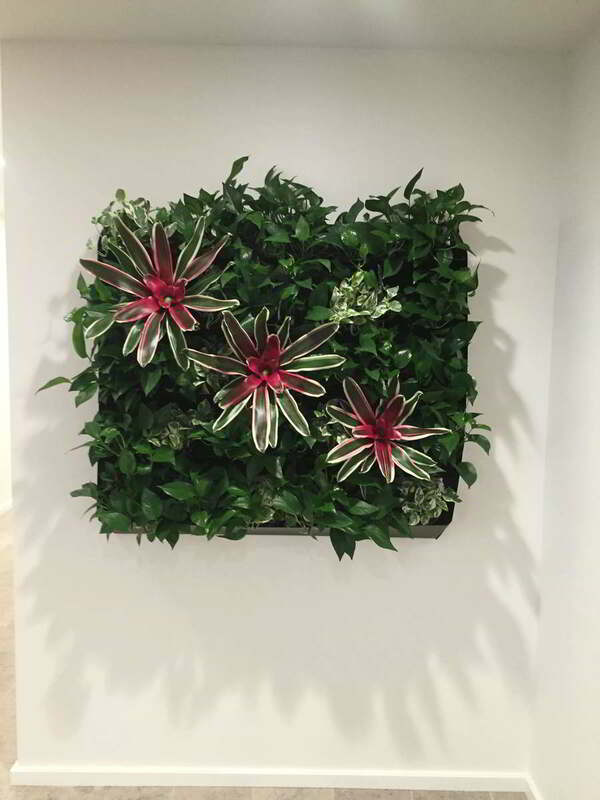 When people think of interior plants, they probably imagine flowers and plants growing straight up from the ground or out of well-placed containers. 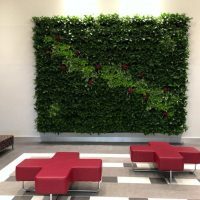 We take plantscaping to a new level, however, with unique living wall designs. 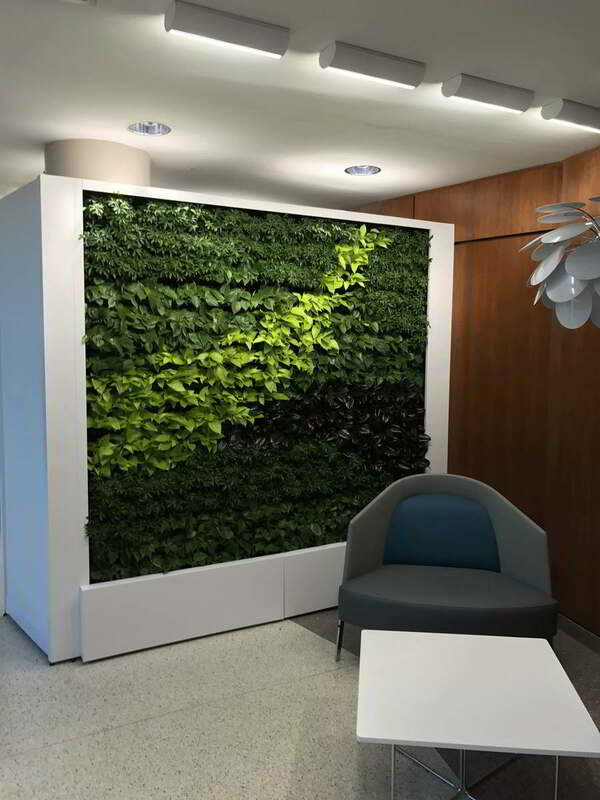 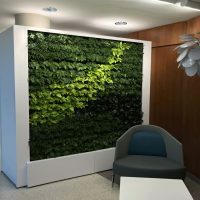 Unlike traditional gardens, living walls are arranged vertically, allowing them to be easily admired and appreciated by everyone in the office, lobby or retail space no matter where your location in the tristate region. 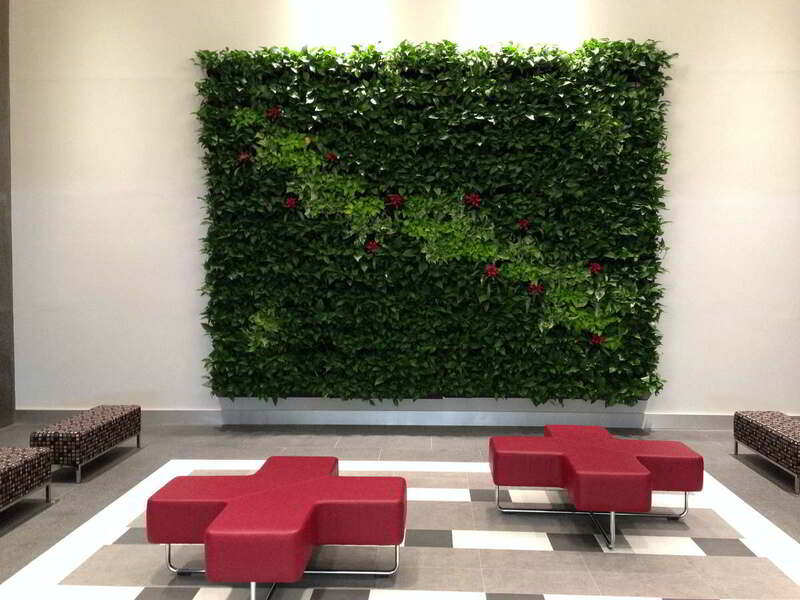 Living walls can be carefully arranged to reflect any existing décor or style you choose. 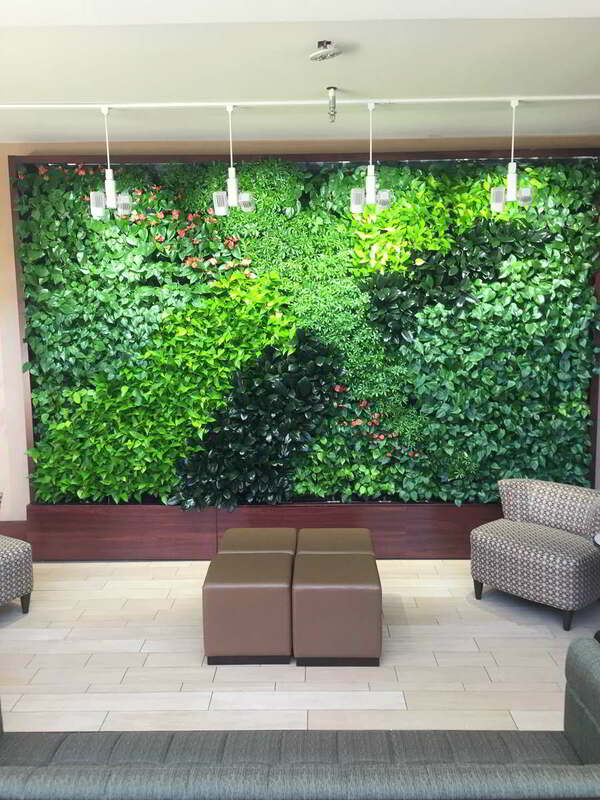 We can create a lush, living design that incorporates your brand colors or even a logo. 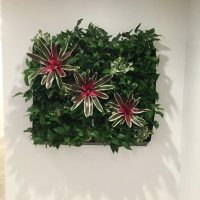 They can fit in just about any indoor space – whether small or large – and Foliage Design Systems’ plantscaping professionals will select the ideal plants for your plant wall to highlight the best features of the room. 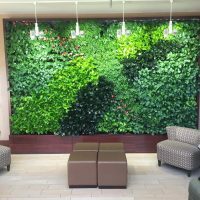 During the design process, our experts will consider everything from available light to room humidity, allowing them to select the perfect plants for your location’s conditions. 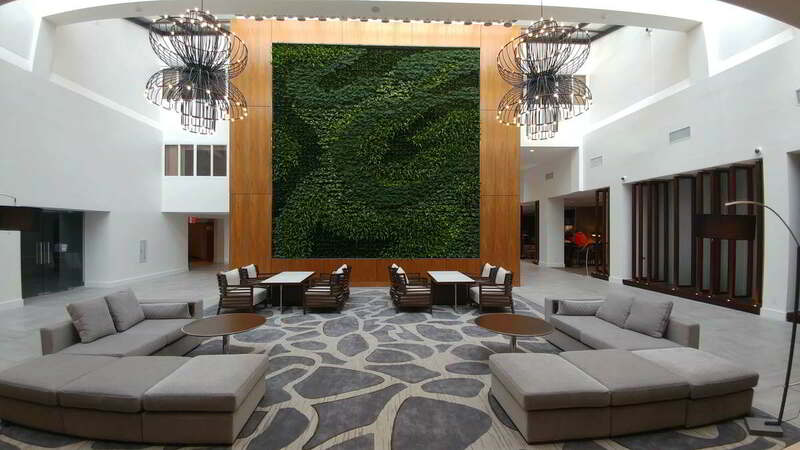 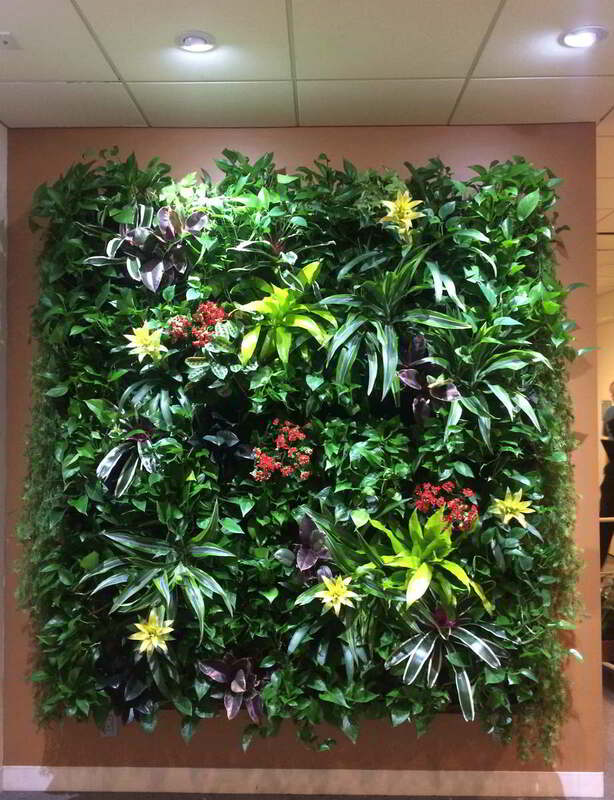 Our living wall designs can transform any ordinary office or lobby into an incredible, colorful oasis. 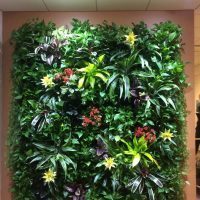 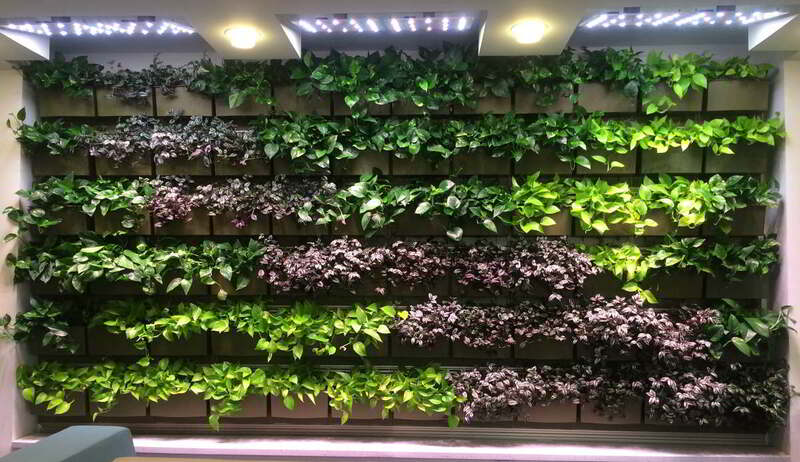 Give us a call at 610-565-1635 for a consultation about adding a living wall to your space today.